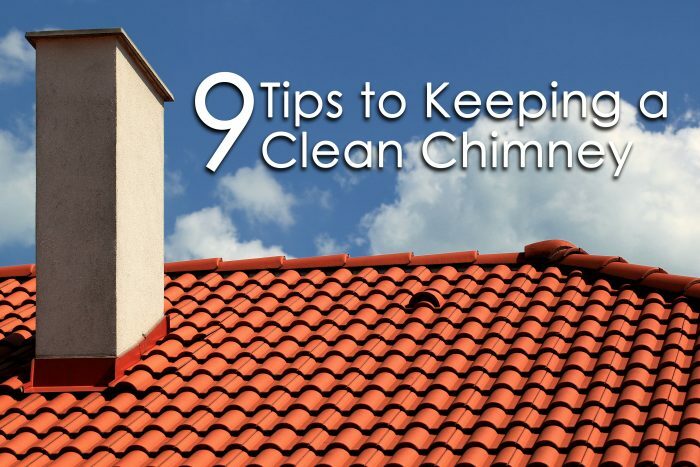 9 Tips to Keeping a Clean Chimney – The Insurance Buzz! If you’ve got a fireplace, you’re one of the lucky ones. There’s nothing quite like being snug in a comfy chair on a cold winter evening, with a fuzzy blanket, watching the flames dance and listening to the wood crackle as it burns. However, that intense heat radiating from the fireplace is only a good thing when it’s contained. Otherwise, it becomes dangerous and potentially deadly. During the winter months, being extra cautious and aware when using your fireplace is crucial. Taking extra steps to ensure the cleanliness of your fireplace increases the safety. Over time, a carbonaceous chemical called creosote builds up inside the walls of your fireplace. A fire that is contained within a fireplace does not have proper airflow. Improper airflow to your fire causes unnatural combustion of the wood, which then gives out gas through the smoke. When there are water and other chemicals in your chimney, this gas condenses with the elements, creating a residue called creosote. Creosote is dangerous in more than one way. Not only is it harmful to our health, but it’s also a fire hazard in our home. Potential dangers to our health include irritated eyes and skin, respiratory issues, or even cancer. Creosote is one of the top reasons that chimney fires occur. Deposits of this chemical are left in your fireplace and are highly flammable. The heat from a creosote fire can exceed the degree limit that a chimney fireplace can withstand, creating a larger house fire. Proper cleaning maintenance of your fireplace and chimney can prevent creosote buildup, protecting your home and your health. It is recommended that you use a professional chimney cleaner. They are highly informed and know exactly how to take proper care. If this is not possible, do extensive research and use some of the following steps. What are some safety precautions to take for fire prevention when using a fireplace? Before cleaning your fireplace, you should always put on a respirator. This will reduce exposure to harmful chemicals due to inhaling ashes. Open your damper to prevent smoke from traveling into your home. If you do not have a screen, you should purchase one to prevent sparks from getting onto the floor in your living room. Ensure there is proper airflow through your chimney by lighting a match and blowing it out. The smoke should rise through the damper and out the chimney. A nonflammable rug can be placed in front of your fireplace to protect your carpet. Open a window a few inches when you have a fire burning. Keep the duration of a fire down to a few hours–five at most. You can attach a stiff brush to your vacuum to clean the inside of your fireplace walls. Install a chimney cap to keep debris and animals out of your chimney.